The construction industry faces many hardships, competition is ripe and moving to the top of the industry is easier said then done. We here at Concrete Pump USA have the best concrete pumps to extradite your way to the top of the construction industry. We have a wide selection of different pumps to cater to your every need. With this sort of variety getting the right pump wonâ€™t be a hassle. We have the best selection of used and new pumps in the USA. Since 2003 we have been helping and improving the industry with our quality service. We only work with the best equipment namely, Putzmeister, Schwing, Reed, Alliance, Concord, Cifa, Sany, Olin, and Mayco. Our main goal is to benefit the construction industry and to help up and coming contractors fulfill their dreams and aspirations. We at Concrete Pump USA have tons of experience this is why we want to share with you all the benefits of having one of our pumps in your tool entourage. The pumps will allow you to accurately pour the concrete be it in a high rise building or a foundation slab. This will result in less material wastage and lesser delays when busy with a project. These pumps can deliver concrete to almost anywhere without leaving spillage or lumps on the way. One of the amazing benefits of having a concrete pump is the fact that you will get better concrete strength. 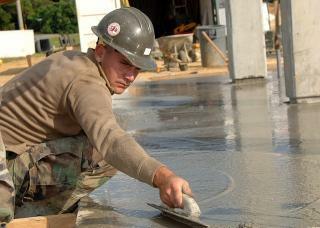 The traditional methods of making the concrete are obsolete as this practice is inefficient and time-consuming. When dealing with a pump you are assured of the quality and strength and little to no supervision is required. When using a concrete pump less water is used when making the concrete and this helps with shrinkage and cracks being visible once the concrete has set. In the long haul, this will save you maintenance cost and other expenses. Finding the right employees is tough enough without wondering if they can do the job right. Getting the right skilled individual to do a certain task can be mentally draining. This is why buying a concrete pump can be beneficial for your company. It will eliminate the manual labor you would need for moving the concrete from one place to another. The concrete pump will only a few people to oversee it and this will reduce your labor cost. If you really want to take your company to the next level than a concrete pump is the next step in the evolutionary ladder. Donâ€™t be stuck doing the same old job the way your forefathers did it, times have changed you should use the tools available at your disposal. Contact us today so that we can get you that perfect pump to bring your company to the next step.